Once a thesis examination is successful a candidate must update their original work and resubmit the revised thesis including any changes recommended by the Thesis Examination Board. The final copy of the work is submitted via digital submission through the Scholarship@Western Electronic Thesis and Dissertation Repository. 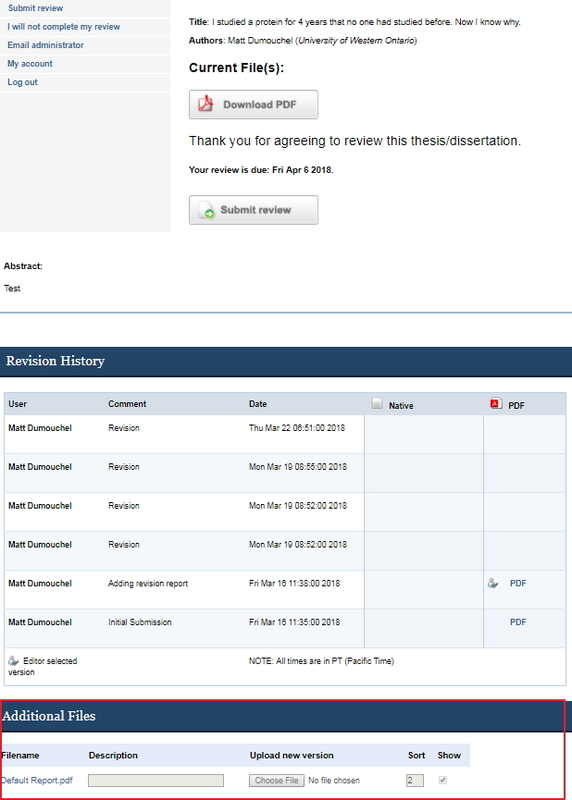 At the conclusion of a successful examination, one or more thesis board members are identified as approving the recommended revisions prior to the publication of the thesis. Once a student has uploaded the final version of their thesis they will connect with these members to inform them that the changes await their review and approval. 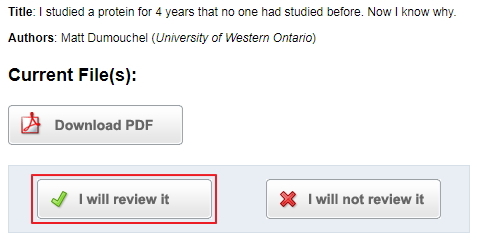 If this is your first time reviewing the thesis/dissertation you must confirm your willingness to review by selecting "I will review it"
To obtain a copy of the thesis, select the "Download PDF" button. If you wish to review the changes made to the thesis a change report will be available at the bottom of the page under Additional Files. 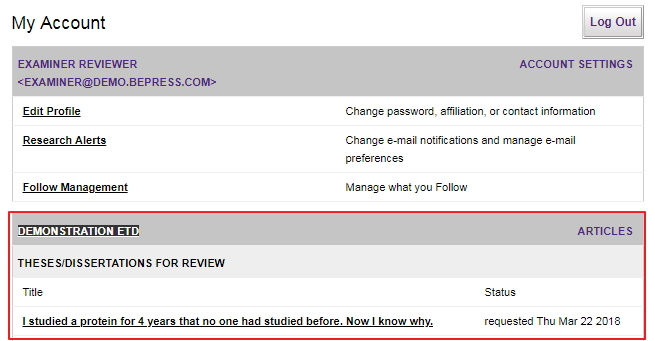 When you are ready to submit your decision, select "Submit review"
Follow the directions provided under "Approval to Proceed to Publication"